Forced rhubarb tickles me pink. I love the thought of producers coaching and cajoling the rhubarb to make an appearance in the late winter months, a season certainly not known for its rich pickings or abundant crops. Then there's the harvesting of the long, thick barbie-pink stalks in the flickering candlelight. To accompany this positively romantic setting do they play the rhubarb a little Lionel Richie, Etta James or Righteous Brothers in encouragement? 'Hello! Is it me that you're looking for' etc? Interestingly, the first forced rhubarb was apparently a mistake. Like a lot of inventions really, see also: Corn Flakes, Crisps and Champagne. Around one hundred years ago, distracted workmen at the Chelsea Physics Garden left an upturned bucket over a crop of plants and returned to find, fiercely searching for light to photosynthesise, extraordinarily flavoured, sweet, tender rhubarb. This soon became a widely copied technique, none more so these days in the 'rhubarb triangle' of Wakefield, Morley and Rothwell in Yorkshire. A little like the enigma of the Bermuda Triangle, mysteries abound in the 'forcing sheds' of the rhubarb triangle. Little is known about the origins of rhubarb growing in the region and even the exact location of the triangle is hotly contested. 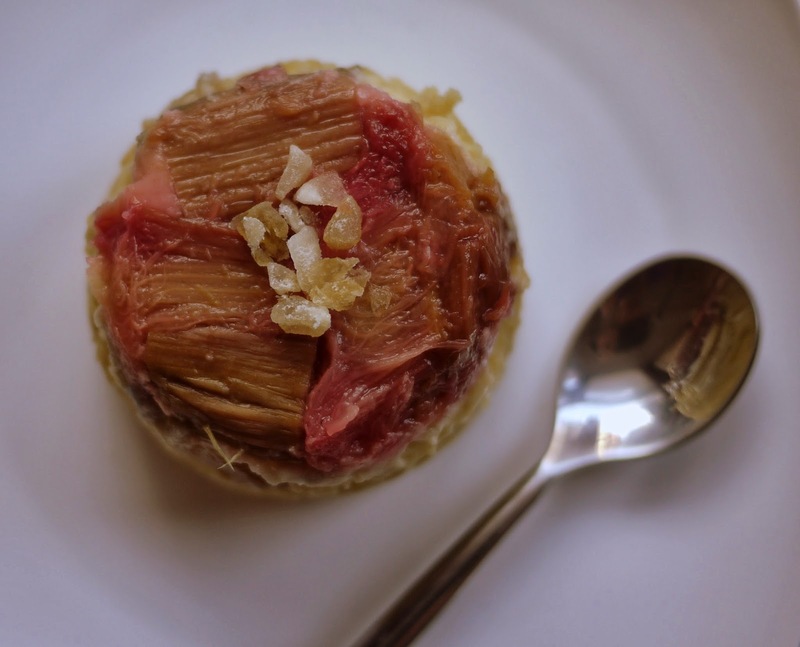 In these puddings, the sweet, soft sponge offsets the tart rhubarb with the addition of the ginger providing a little welcome heat on a cool Spring day. 1. Grease six individual metal pudding moulds and line the bottoms with a small circle of parchment paper. Preheat the oven to 180C/350F/Gas Mark 4. 4. 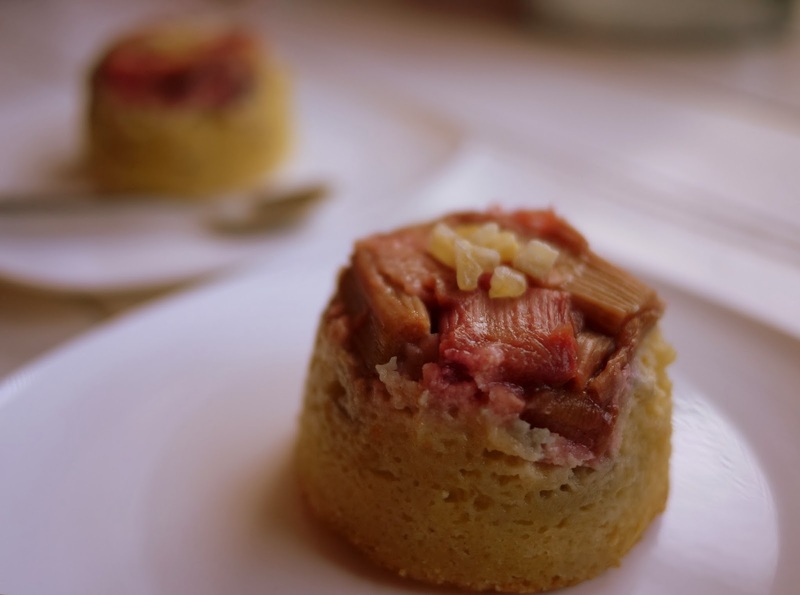 Divide the rhubarb between the six moulds and spoon the sponge mixture on top, filling each mould three quarters full. Cover each mould with foil. Place the moulds in a deep roasting tray and pour hot water in to the tray to half way up the side of the moulds. Transfer the puddings to the oven and bake for 25–30 minutes, or until springy to touch. Serve warm. Forced rhubarb is in season between January and March with outdoor crops ready to harvest just a few weeks later. 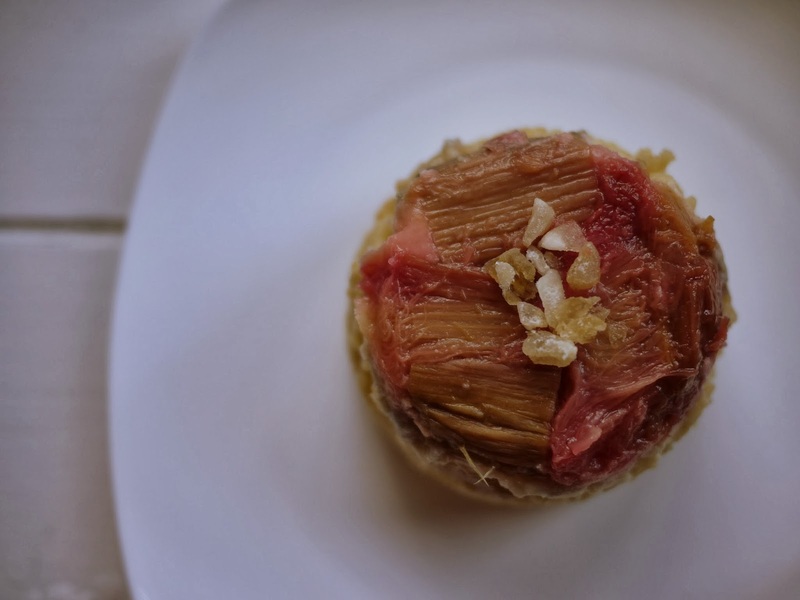 Rhubarb has many health benefits: it hastens metabolism, has a high calcium content and, back in the day, was used for medicinal purposes, including liver, lung and stomach complaints. Such an amazing flavour combination, these look so good! These are so cute and I just love rhubarb! I usually hate steaming puddings (condensation running down the walls etc) but these may be worth it! And steaming them in the oven means it's just the oven that resembles a sauna! These sound so tempting - with the cooler months about to arrive these are definitely worthy of being on the "list" of goodies to make. Yum Yum. Stem ginger - is that the jar variety? Absolutely- little balls of sticky stem ginger in syrup. The jars are advertised here as 'Chinese Stem Ginger'. Hope you manage to track some down! Delicious! I have rhubarb at the moment, although I usually microwave my steamed puddings. Of course- the microwave can be so helpful with steamed puds!